When the air gets colder in fall, many citizens used to visit to hear the song of wind and to see color of fall in this Skypark(하늘 공원;Ha-Neul gongwon) within the Seoul World Cup Park. Each year Eulalia( silver grass) festival in fall , on October, was held at this park by the Seoul Metropolitan Government. As it is located in Seoul, so many people visit here so easily all the year regardless with the season because they show each unique color of the season with different charming points. In spring, this was filled with various butterflies as well as unknown wild flowers. In fall, waving silver grasses are waiting us too. This is former site of the Nanjido Landfill that operated until 1993 for last 15 years. Massive disposal amount made a garbage mountain up to 98 meter of the height. After closing this field,there were filled with just bad smellsand enormous dusts only.This land was seem to be dead almost. However surprisingly, some years later greens and trees became to grow in this abandoned field. How amazing it was! Ecosystem had become alive by itself again as if laughing at foolishness of human being's behavior done to the nature. 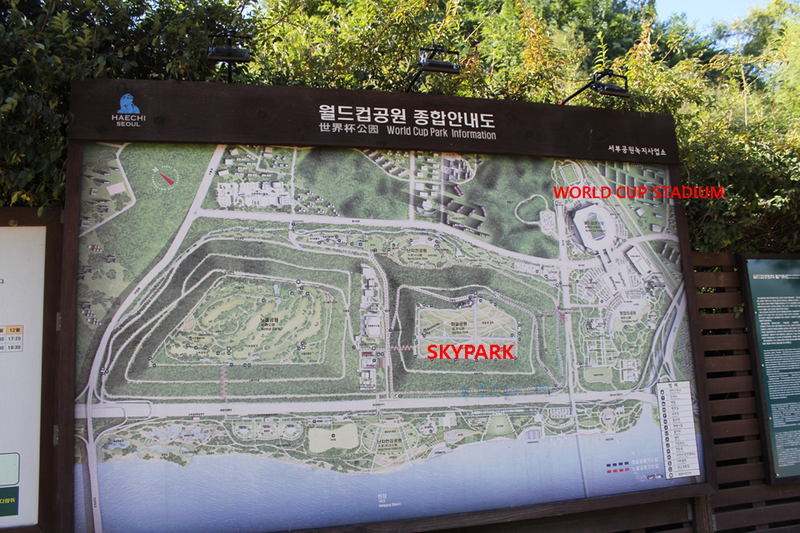 After seeing this astonishing recovery power of nature, Seoul city had managed to a big construction to live this ecosystem.In the year of World cup 2002 this field was revived and reopened into as the name of wonderful Sky Park next to World cup stadium. When I visited there, citizens enjoyed the full flavour of autumn in this massive field and the silver grasses as well as many sorts of autumn flowers were smiling at me. Name of Nanjido, former this landfill name, was originated from that this is filled with colorful orchids and lingzhi mushroom. Every flowers blossomed from season to season,so people called this area as Flower Island also long time ago. At now here has gained again its' former role of mother of nature with the beautiful rest place as well as eco-friendly recycling system. This is a living lesson how human being should have a relationship with the nature. For more detail ;Click here ! Are you planning to visit Korea and looking for the best sim card perfectly to support your travel in Korea? Check out NeoKOSIM solutions with the best Unlimited 4G LTE Data service.